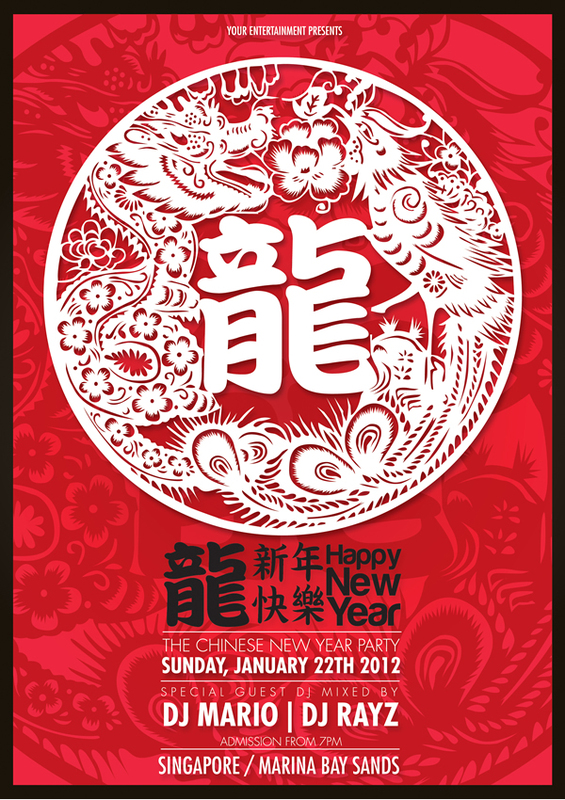 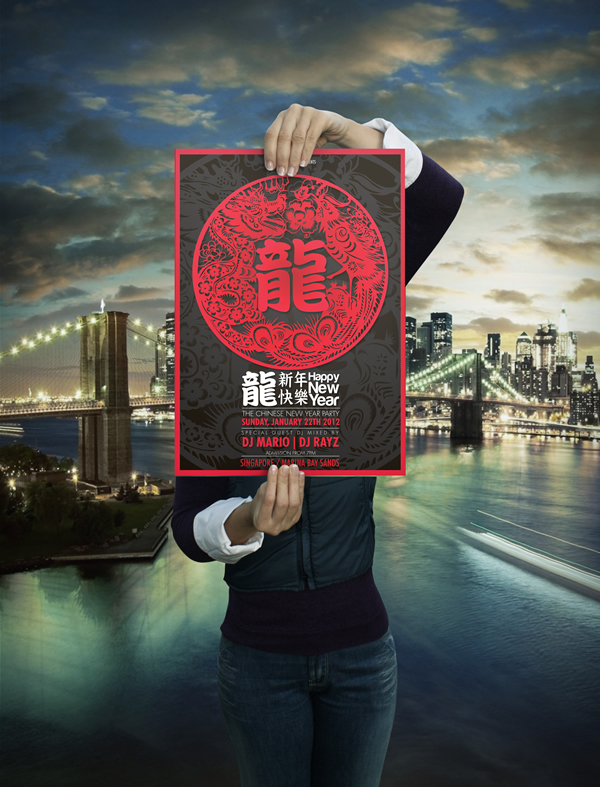 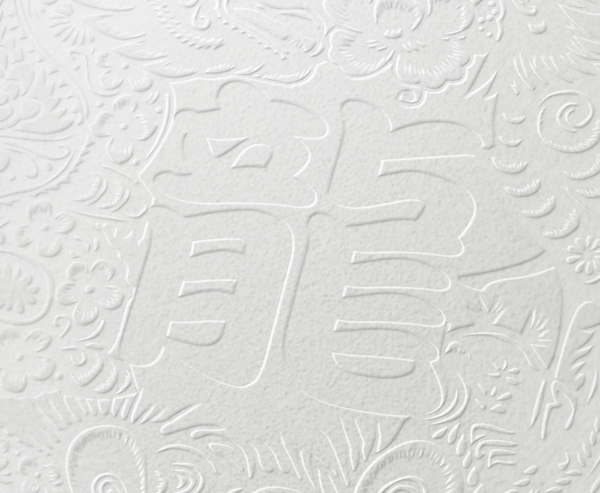 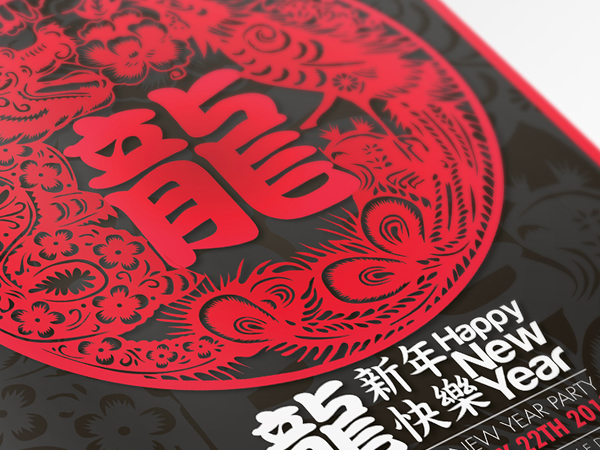 This is a Chinese new year 2012 Flyer i designed for this new year. 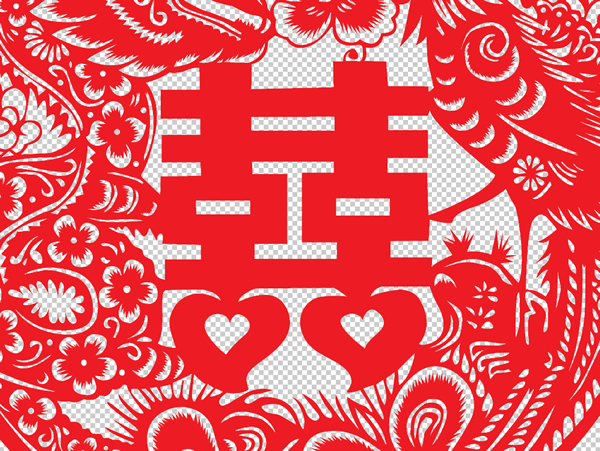 In China, the dragon is an imperial symbol, the sign of the emperor and mean POWER and Wealth. 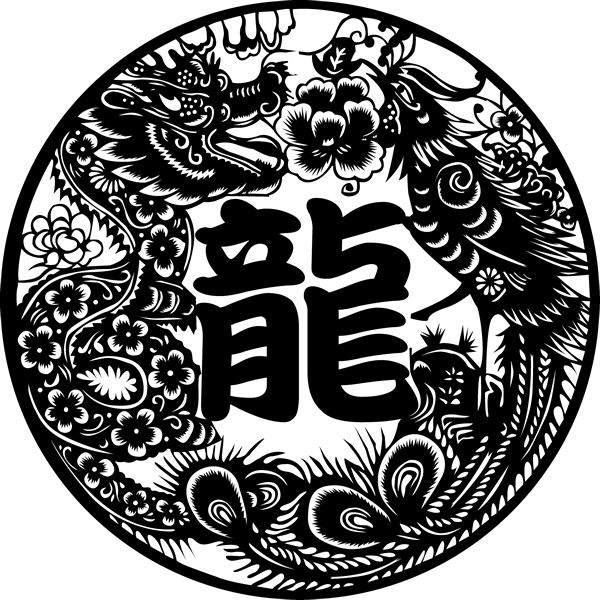 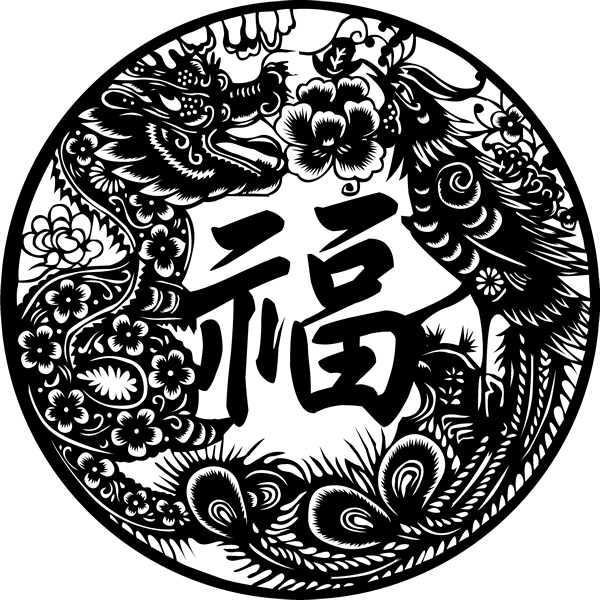 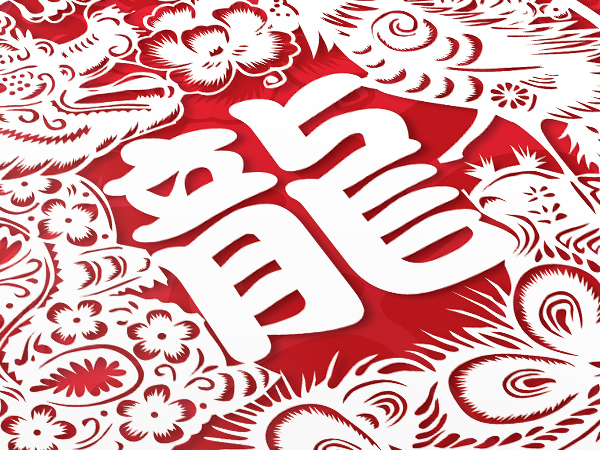 While the second animal which accompany the dragon is the Phoenix which symbolise Luck and happiness. 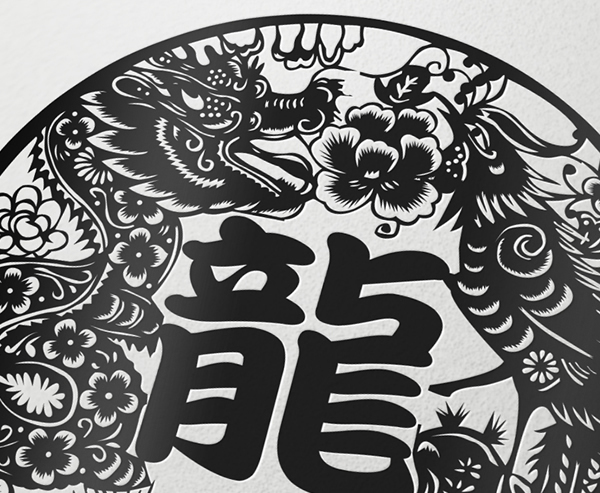 Together it create a auspicious mural for the year 2012. 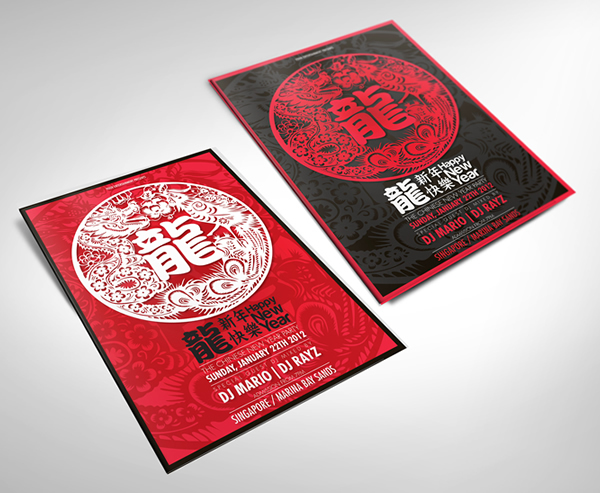 3 Editable Photoshop file with 3 different variations, 300DPI, CMYK and Print Ready. 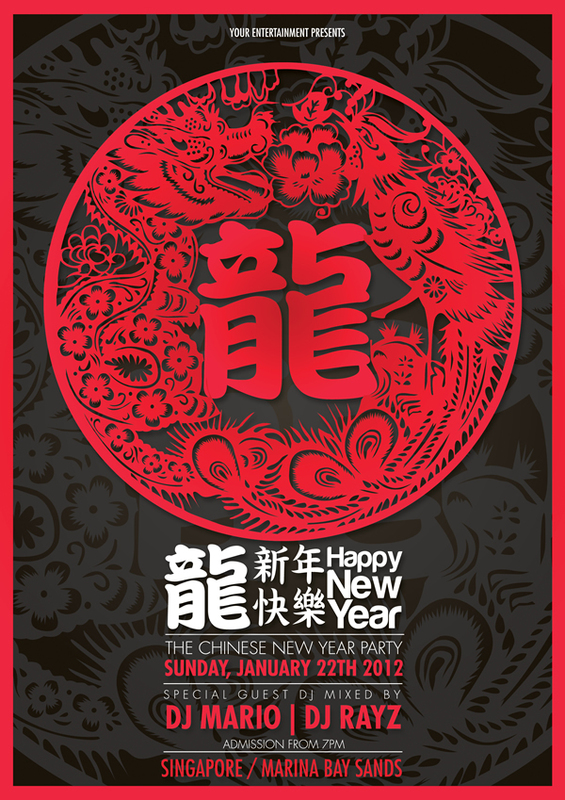 Chinese new year 2012 flyer today!